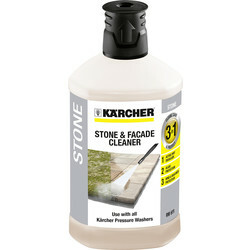 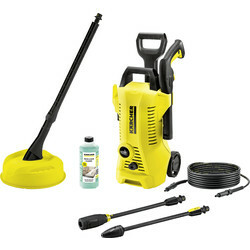 Discover an efficient and easy to use patio cleaner in our range of pressure washers at Toolstation, including Karcher pressure washers and petrol pressure washers. 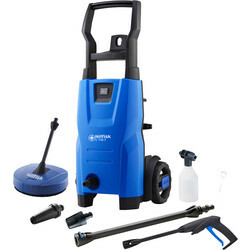 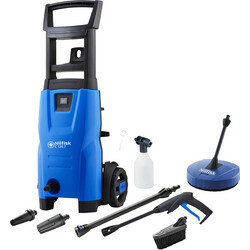 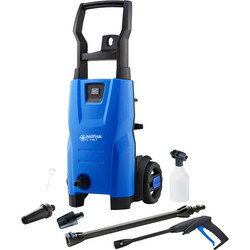 We also stock pressure washers from top brands such as Silverline, Draper and SIP. 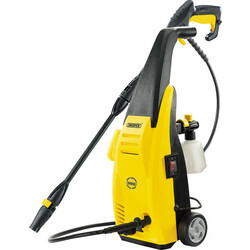 Ideal for both domestic and professional use, electric pressure washers are an effective way to rid surfaces of mould, dirt and rust. 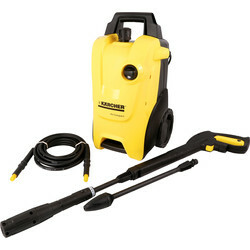 Using a home pressure washer could add value to a property, particularly if the property needs cleaning up before a house viewing. 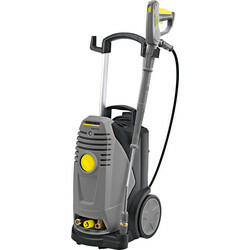 For no limitations when cleaning, use petrol pressure washers. 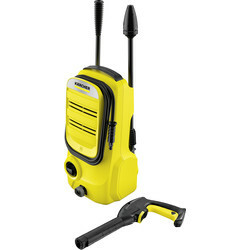 Browse our range of Karcher pressure washers including the K2, K3, K4 or the K5. 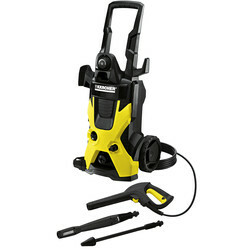 The K3 premium high-pressure washer gives the user extra power and performance with a high-pressure trigger. 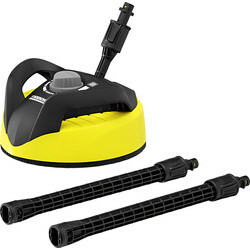 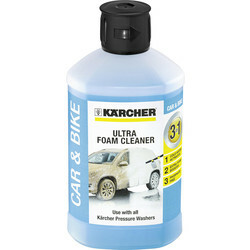 Consider the Karcher K2 compact pressure washer and patio cleaner for a lightweight unit ideal for domestic use, or the Karcher K4 full control home pressure washer for a powerful and robust option with a water-cooled motor. 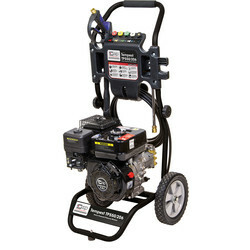 For a professional pressure washer, petrol pressure washers are ideal as they are easier to transport and can be used anywhere. 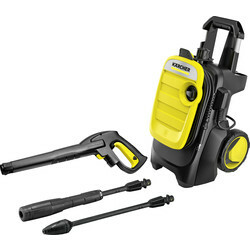 Choose the Tempest TP550/206 petrol pressure washer with a powerful 4 stroke petrol engine and 7 metre rubber hose or the Karcher professional pressure washer with a 190-bar pressure. 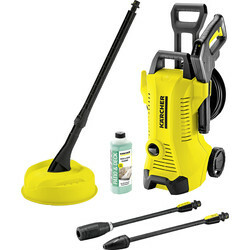 For stubborn dirt and grime, choose a high-pressure washer such as the Karcher K3 Premium pressure washer with a 6m high pressure hose reel. 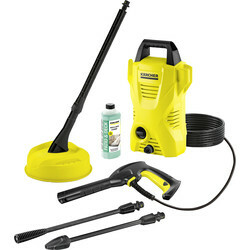 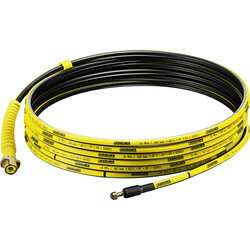 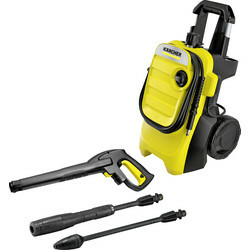 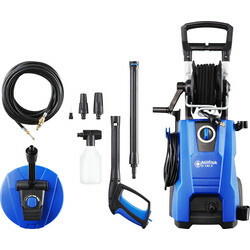 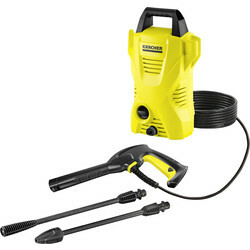 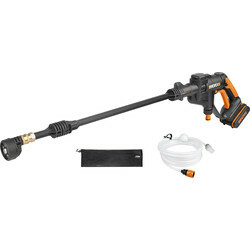 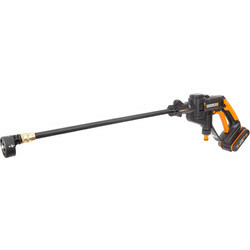 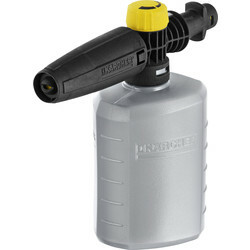 The Draper pressure washer features an auto-control with total stop setting.